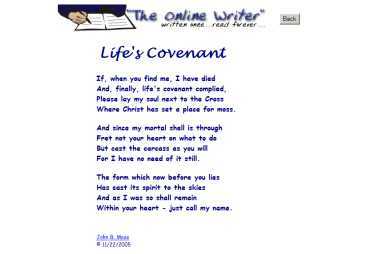 Life's Covenant - a short poem by John B. Moss. If you're wondering what life is all about, check this out. By clicking on the banner above the poem you'll find more poetry by John, while links on the page provide access to the entire Online Writer webpage site.